Virtual Reality for Collaborative Engineering Teams. Forged In FriendShip. Created using Unreal. Clementine's Adventure. Created using Unreal. Enchained. [Video Trailer]. Created using Unreal. Behind Every Hero. [Video Trailer]. Created using Construct 2. Escargo: The Great Snail Escape. [Video Trailer]. Created using Unity. To Become A Henchling. [Video Trailer]. Created using Unity. Computer Simulated Interactive Child Abuse Screening Tool. 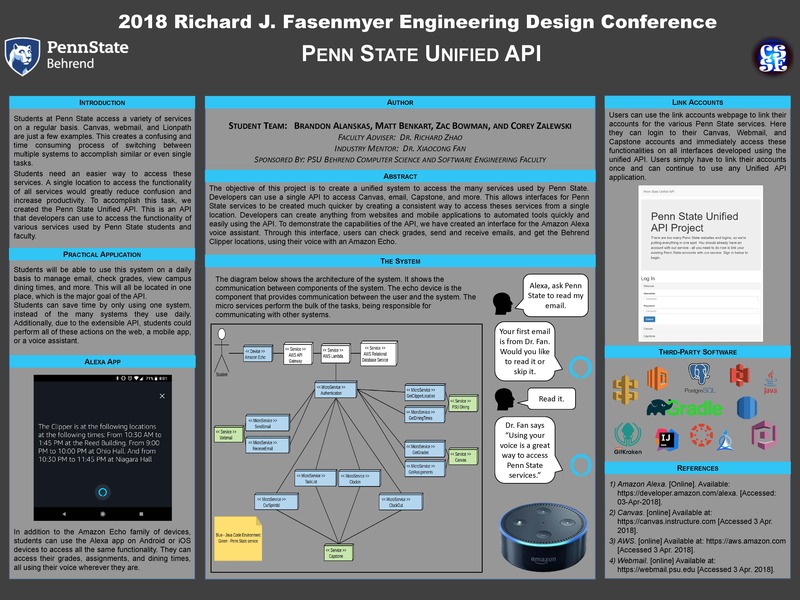 Penn State Unified API. [Poster]. 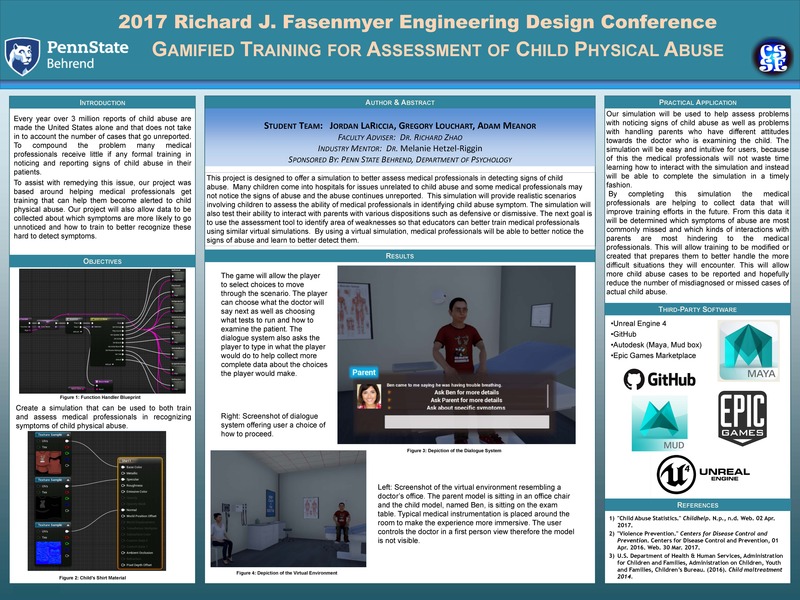 Gamified Training for Assessment of Child Physical Abuse. [Poster]. Created using Unreal. 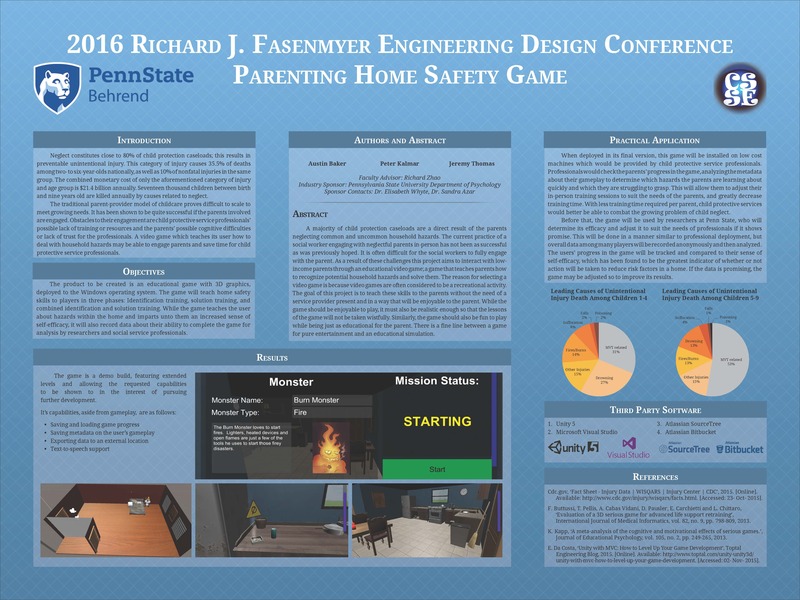 Parenting Home Safety Game. [Poster]. Created using Unity. 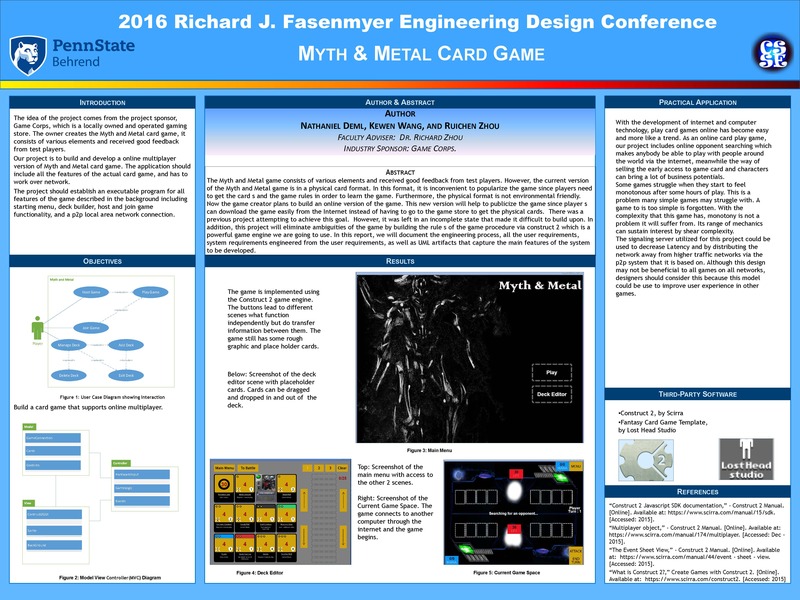 The Myth and Metal Card Game. [Poster]. Created using Construct 2.